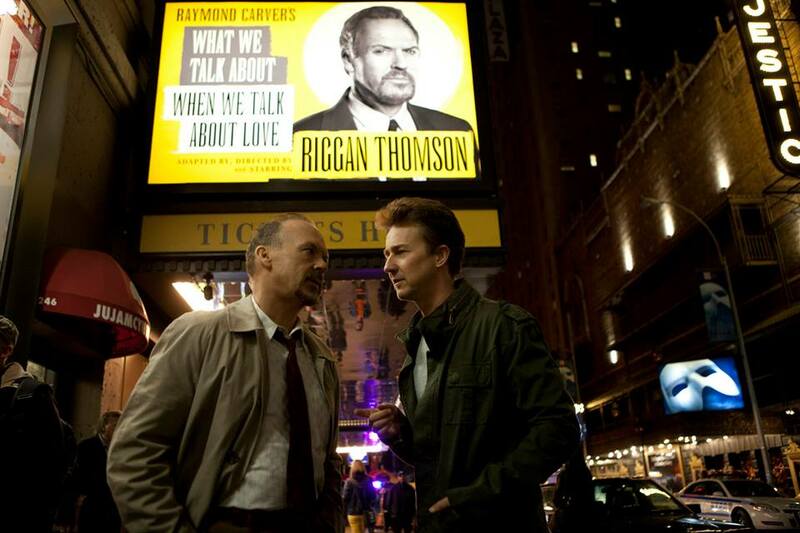 Actor Riggan Thomson (Michael Keaton) once played a famous superhero on the silver screen – Birdman. He was highly successful then but now twenty years on he hopes to revive his ailing career by taking to Broadway in a self funded revival of a play written by Raymond Carver. What’s immediately arresting about Alejandro Gonzalez Inarritu’s Birdman is the camera work. There are no cuts, the singular shot moves seamlessly, and it ensures that there is a sense of continuity. It feels like we are watching something happen right in front of our eyes and it provides a sense of immediacy and of real time unfolding. Birdman is an urgent, visceral, and arresting film and one that revels in its technologically deft and charismatically acted narrative. It follows the story of Riggan Thomson who is on the brink of an existential crisis somewhere in the middle of his life. Time is something that seems to have left him behind and his once great acting career is now just a historical footnote. Riggan’s fame is attributed to a trilogy of super hero movies from the eighties in which he played Birdman, a crime fighting, Batman-esque winged hero. Riggan now sees that role as dumb, as something that’s beneath him so to revive his career and rebrand, he self-finances and stars in a Broadway stage adaptation of a Raymond Carver story. His buddy Jake, played by a more sombre and controlled Zach Galifianakis, is the producer and Riggan recruits his daughter Sam (Emma Stone) as his personal assistant. It’s a clever film and it’s propped up by actors that we get to see acting. It’s a meta piece of cinema except it’s more like a filmed meta piece of theatre but what it does well is in the storytelling itself – the form never takes precedent over the narrative. 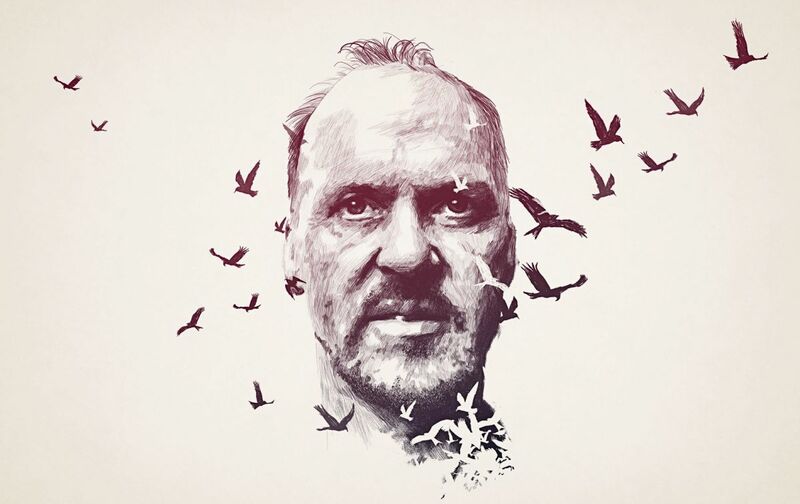 There has to be good reasons for stylistic touches like a continuous singular shot and Birdman provides several – it’s reflective of the fluidity of real life, it provides a sense of formalism to an otherwise experimental narrative, and it ensures that the frenetic nature of stage acting is conveyed succinctly. The continuous shot provides the illusion that there are no cuts between on stage performances and the back stage drama. But there’s something else that the camera work does and its not in a formalist sense. It lends a touch of artistry to the acting and it provides the actors themselves with a great foil to riff off. In effect though the camera work serves to highlight Riggan’s perspective on reality and the fact that he sees other people as audience members in his very own personal narrative – the lines are increasingly blurred as the film progresses between reality and acting. Simply put Birdman is an exploration of the psyche of an insecure actor and the motivation behind the lines that he delivers. It’s the type of film that becomes ever more intricate in retrospect as you begin to understand just how staged and considered every throw away line was. For all of the clever writing and directing though there is a simplicity to Birdman that makes it purely enjoyable. The fact that Riggan hears the voice, his own voice, of Birdman in his head shows just how close to insanity playing someone else can be and the dangers of giving yourself completely to a role. But it also shows that for Riggan he is a man living in the past off of past glories. There is also a touch of magical realism to this film in the way that the narrative unfolds. Riggan seems to be losing his grip on reality, his play isn’t quite working, and his family don’t really want anything to do with him. This pushes him further and further towards his Birdman alter ego and this vigilante style voice tells him to do increasingly stupid things. A (magical) moment that stands out involves Riggan deluding himself that he is flying through New York City and as he soars above the skyscrapers audiences would be forgiven for believing him. There’s something charismatic in madness and Riggan and the voice of Birdman in his head are difficult to argue with. But the most pertinent question posed by Birdman is something that audience members will find themselves asking. Is this a film from Riggan’s perspective? If it is then it becomes something even weirder, ever more fluid, and ever more insane. Fragments of music are perhaps diegetic, but they could equally be the converse, then there’s the question of acting – at what point are the characters themselves and at what point do they become who they are on stage. It’s head scratching writing but it works simply because those questions are never answered. 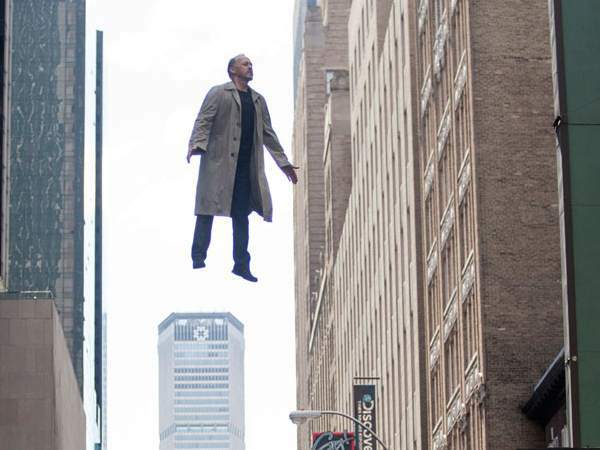 Birdman is formalist cinema that subverts conventions and turns expectations on their heads. A recurring auditory motif throughout Birdman is the drums that rise and fall and seem to mirror Riggan’s actions. This suggestion is compounded further as the film progresses and the sound is suggested to be diegetic. Apparently we are firmly in our protagonists mind and we get to see the world through his eyes but once that assumption has been made it’s negated again. Birdman is a visually arresting film, its seamless cuts provide a breathless sense of back stage life, and its interrogatory nature about the relationship between actors and acting is hypnotic. Edward Norton is brilliant in this but ironically enough it’s Michael Keaton who is the real star – perhaps reviving his real world career in the process. Alejandro Gonzalez Innarritu shows that his sombre back catalogue is only part of his artistic output and the frenetic and entertaining Birdman highlights the power of form when it is utilised to tell a story – not detract from it. Like Gasper Noe’s Enter the Void (2009) Birdman’s narrative floats somewhere between the sublime and the surreal.